Note: I wrote this post for the Golden Gate Audubon blog. 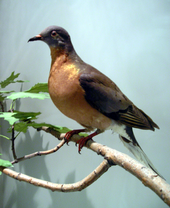 This Monday September 1st will mark the 100th anniversary of the death in captivity of the last Passenger Pigeon. 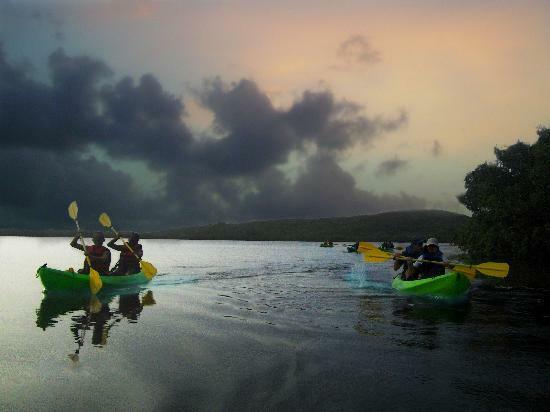 “The noise which they made, though yet distant, reminded me of a hard gale at sea…. As the birds arrived and passed over me, I felt a current of air that surprised me. Thousands were soon knocked down by the pole-men. The birds continued to pour in…. The Pigeons, arriving by thousands, alighted everywhere, one above another, until solid masses as large as hogsheads were formed on the branches all around. Here and there the perches gave way under the weight with a crash, and, falling to the ground, destroyed hundreds of the birds beneath, forcing down the dense groups with which every stick was loaded. It was a scene of uproar and confusion. 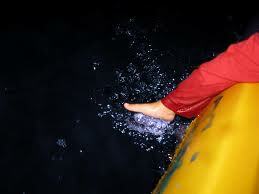 I found it quite useless to speak, or even to shout to those persons who were nearest to me. Even the reports of the guns were seldom heard, and I was made aware of the firing only by seeing the shooters reloading…. 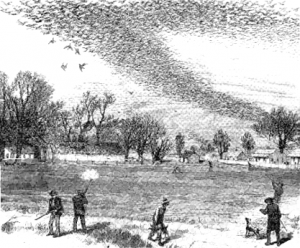 Such massive flocks were not unusual: The largest known nesting site was documented in 1871 in Wisconsin with 136 million birds covering 850 square miles. Their large flocks and communal behavior made the pigeons easy prey for hunters. Faced with massive commercial hunting and loss of habitat, their numbers dwindled. Then, a century ago, they were gone. The Passenger Pigeon’s story is particularly cautionary for us these days because, with climate change, we may be on the verge of witnessing a tidal wave of similar extinctions. In September — by coincidence about a week after the sad anniversary of the Passenger Pigeon’s loss — National Audubon will release a very comprehensive scientific report on North American birds and climate change that has been years in preparation. Which species will face significant habitat loss? Which ones are likely to adapt and survive? Which are at risk of extinction? We’ll share the news here with you as soon as we get it, along with steps we can take to protect the Northern California species most at risk due to climate change. Meanwhile, please consider doing one small thing on Monday to mark the death of Martha, that last lone pigeon in the Cincinnati Zoo. Replace the energy-hogging incandescent bulbs in your house with LEDs or compact fluorescents, and think of Martha while you do it…. In 2114, will our grandchildren or great-grandchildren be writing blog posts commemorating the anniversary of the death of the last Tricolored Blackbird? Ashy Storm-Petrel? Yellow-billed Cuckoo? Burrowing Owl? Snowy Plover? Or might there be so many losses that they won’t even know where to start? We took an overnight train with a first-class sleeper compartment from Prague to Krakow. 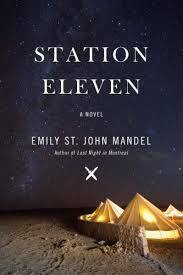 Starched white sheets on the bunk beds; bottles of water by our private sink; the conductor promising a wake-up call and our choice of coffee or tea before we arrived. We are Jews on a train to Auschwitz. Oswiecim – the Polish town that predated the camp and gave the camp its infamous German name – was one of the stops around 4 a.m. on our very-local train route. Of course the contrast couldn’t have been greater. We were American tourists, buoyed by our almighty credit cards, free to move where we chose within the borderless EU, free to fly home to California when we were done. We were also Jews on a train to Auschwitz. 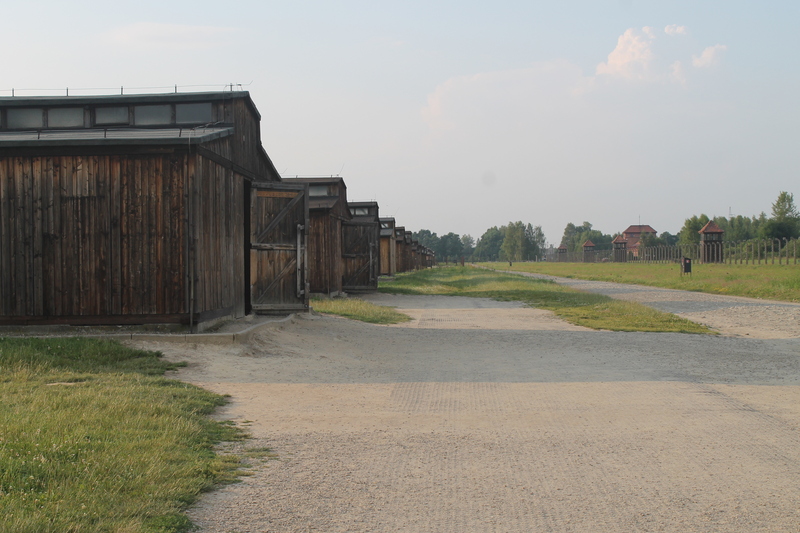 With help from the Taube Center for the Renewal of Jewish Life in Poland, we had arranged a private tour of the Auschwitz-Birkenau camps for our third day in Krakow. The camps are about a 90-minute drive from the beautiful medieval city center. On our way, we stopped in the town of Oswiecim to visit its fairly new Auschwitz Jewish Center, a museum and education center that preserves the only remaining synagogue in the area. This was new to me. Like most American Jews, when I hear “Auschwitz,” I think of the death camp that killed over a million Jews from all corners of Europe. 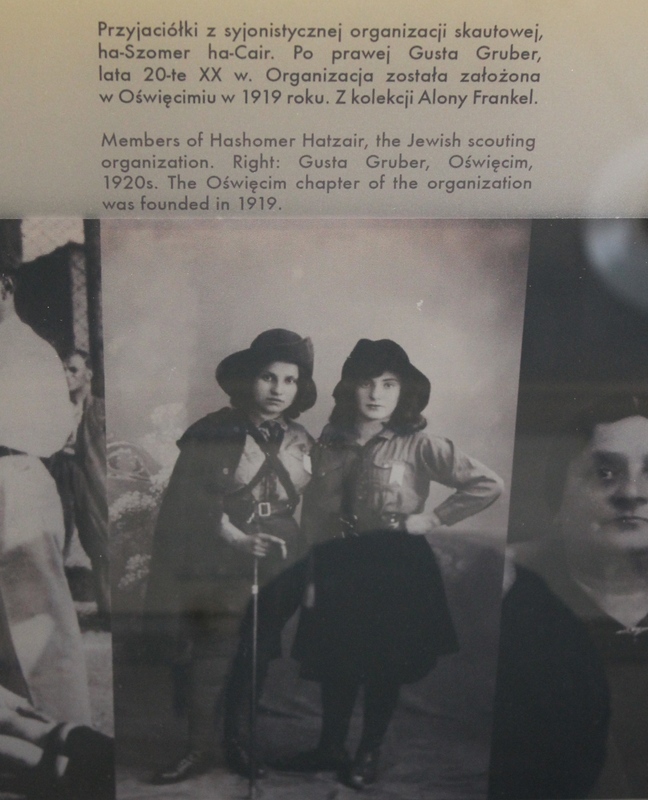 What I didn’t know was that before this, there had been a thriving Jewish community within the small town of Oswiecim itself. Jews arrived in Oswiecim in the 1500s, fleeing persecution in nearby Bohemia and Moravia. They flourished during Poland’s brief window of independence after World War I: By 1939, Jews made up an estimated 50 to 60 percent of Oswiecim’s population of 14,000. There were 20 synagogues in the town! 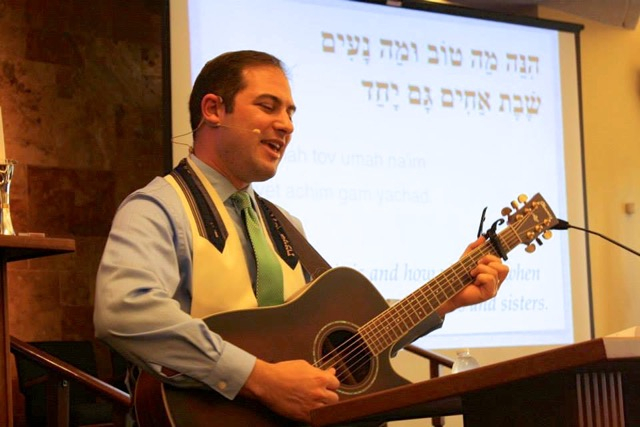 Like elsewhere, Orthodox and more modern Jews jockeyed for influence. 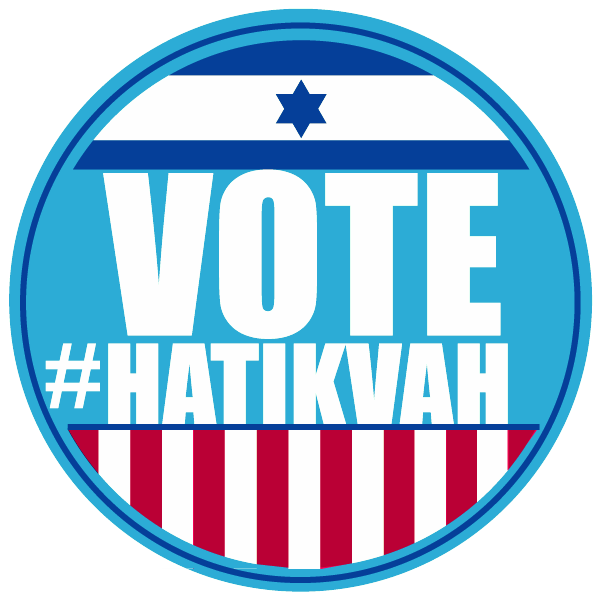 Jews served on the town council, which provided food and other relief to both poor Jews and poor Catholics. 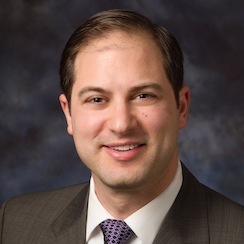 The Jews were careful never to court ill-will by serving as mayor, even though they were a numerical majority: They typically served as vice mayor, under a Catholic mayor. 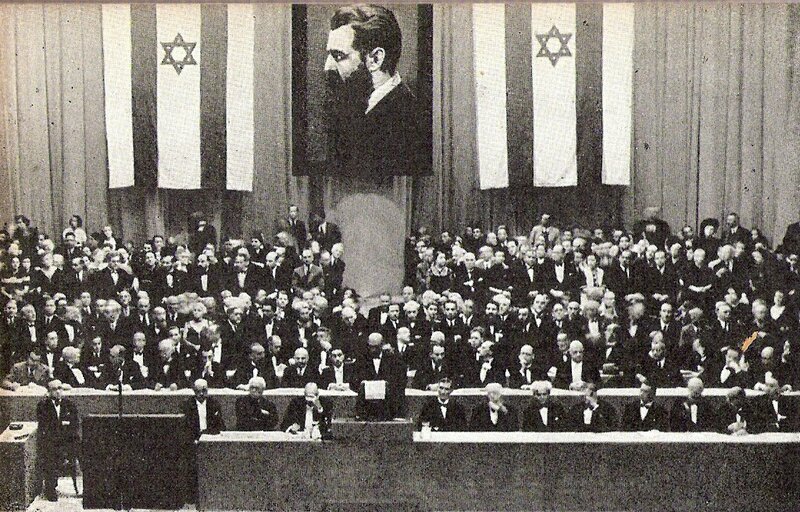 Some Jews were successful industrialists. 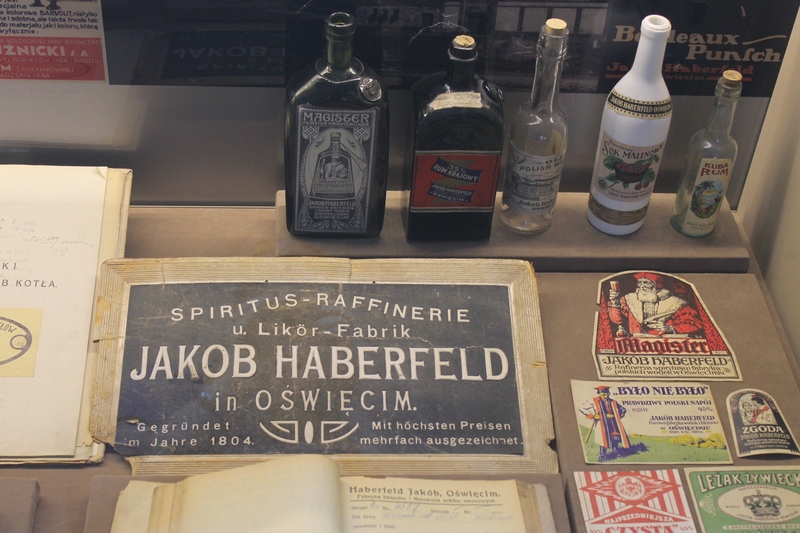 Among the museum items on display that fascinated me were glass bottles and marketing brochures from businessman Jakob Haberfeld’s very successful vodka and liquor factory. But on to the camp. In retrospect, I realize that I approached our visit with trepidation. Like most American Jews, I’d heard about the death camps from a young age. I’d read Elie Wiesel’s Night as a teenager; bought Art Spieglelman’s Maus for my own daughter; visited Holocaust museums in Jerusalem and Washington DC; seen Schindler’s List and The Pianist and so on. Although my family came to America in the mid-1800s and I lost no known relatives to the Nazis, the Holocaust was always more real to me than much of American history. Even today, I can name more concentration camps than Civil War battlefields. 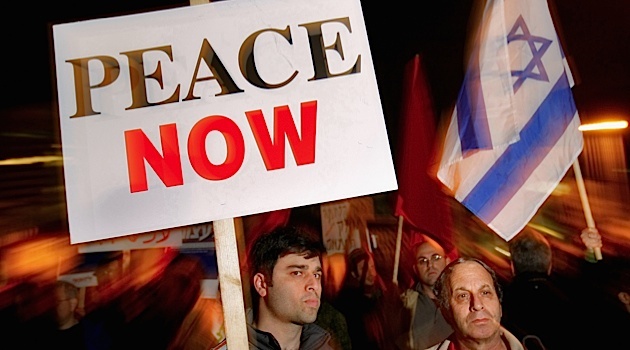 Many times over the years I had played the mind-game with myself: Of all my non-Jewish friends and co-workers, who are the ones I could truly trust to protect me if something like the Holocaust happened again? And Auschwitz represented the dark core of all this to me for 40 years – symbol of what Europe did to Jews, what it would have done to me, the worst that human beings can do to other human beings. I was worried about what it would be like to visit. I wasn’t worried that I would be overcome by anguish, but that I would not be overcome enough. I feared that it would seem mundane. That I would not experience an epiphany worthy of the place. That I would not be changed. Wouldn’t that be the individual equivalent of the world looking aside as Jews were gassed? To visit Auschwitz and not be changed? How could the actual Auschwitz live up to everything I’d read and thought about it? But I wasn’t conscious of this at the time. I only felt a vague nervousness. Thus the dark jokes about Jews on trains. 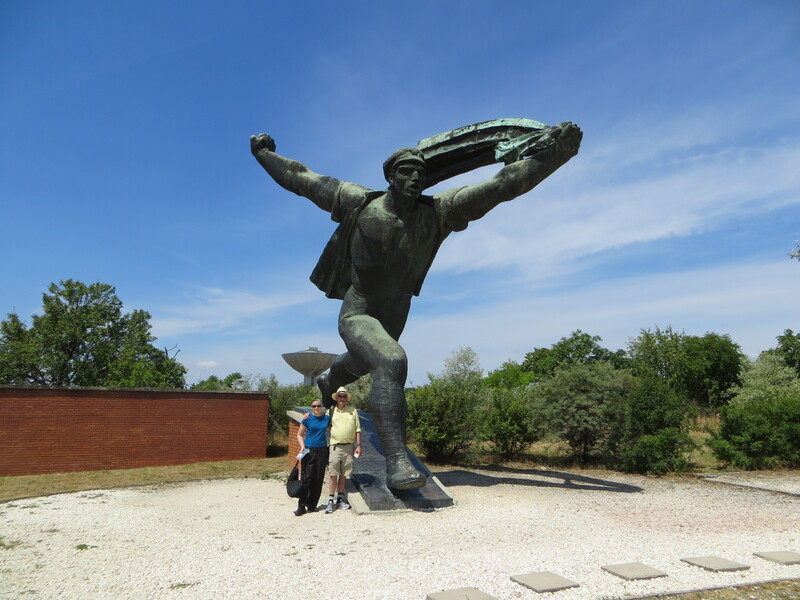 Our guide was terrific – a youthful non-Jewish Pole in his 40s named Wojtek. He knew the history of the camp inside out. He understood Jewish culture and history. He explained things, but not too much: It would have been horrible to have someone chattering non-stop through the visit, but he knew to leave a lot of silent space. I asked him what motivated him to choose work as a death camp museum tour guide, and he answered that his parents had both worked at the camp museum since it opened shortly after World War 2, so he grew up around it. I imagined them as nearby residents looking for a paycheck, maybe staffing the ticket booth or maintaining the grounds. Only later did someone tell me that Wojtek’s father had been a prisoner in the camp for five years, and was the first director of the camp museum. 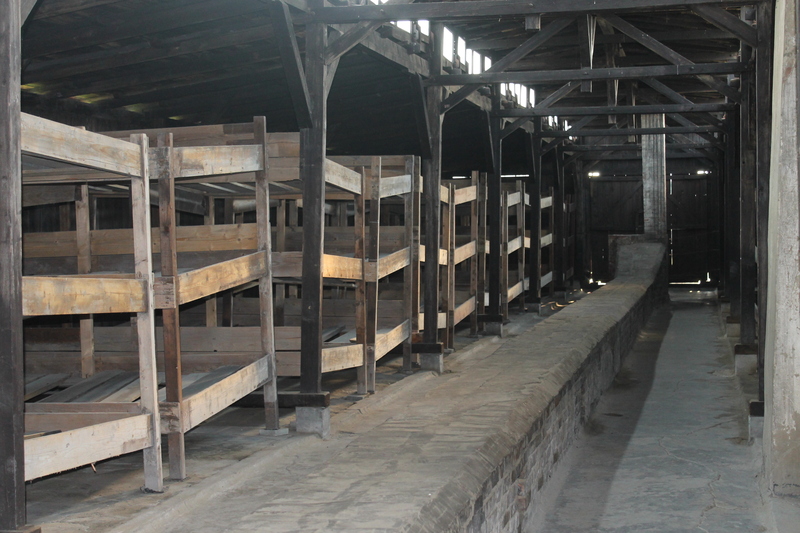 There are two parts to the preserved camp – Auschwitz and Birkenau. We started in Auschwitz, which began its life as a Polish army base and was the earlier and smaller section, where Polish political prisoners were placed after the Nazi invasion. It’s a series of very neat, very rectangular two-story red brick buildings lined by rows of poplar trees. If you disregarded the barbed wire and electric fences, it looked from the outside like a cheery colonial-Williamsburg-style restoration – imagine a 19th century New England textile mill turned into a historical park. One of the brick buildings held a series of large glass display cases, like you might see holding a diorama of stuffed zebras at a natural history museum, only much bigger. They were filled with relics of the dead. 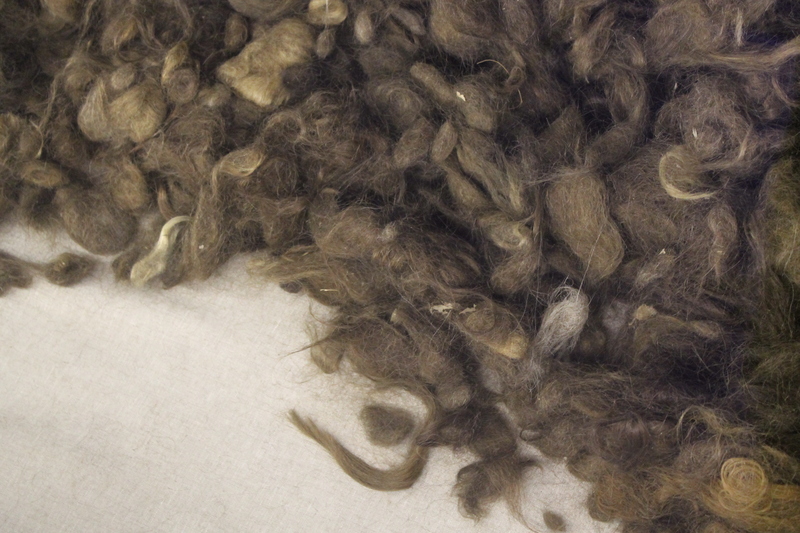 One display case was filled with two tons of hair shorn from gassed women, and sold to German industry for 50 Pfennig per kilo. 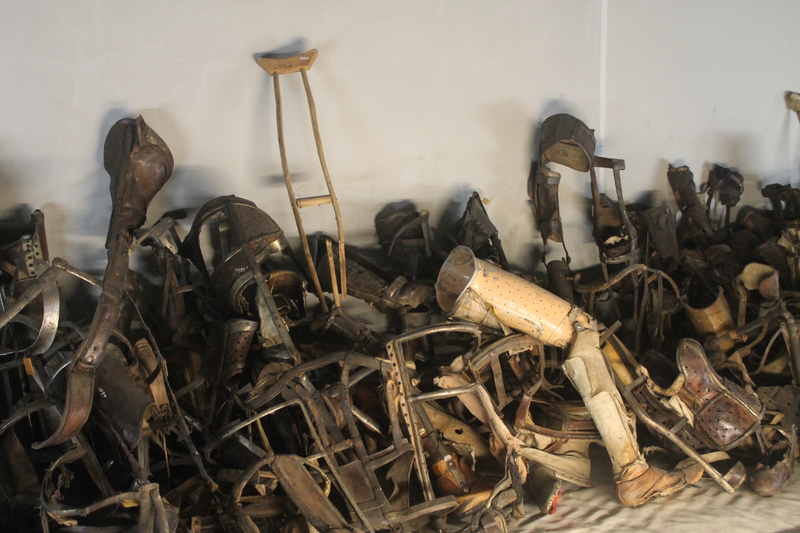 There was a case filled with crutches and prosthetic limbs. A case filled with women’s shoes. A case filled with baby shoes. There were thousands upon thousands of these items. 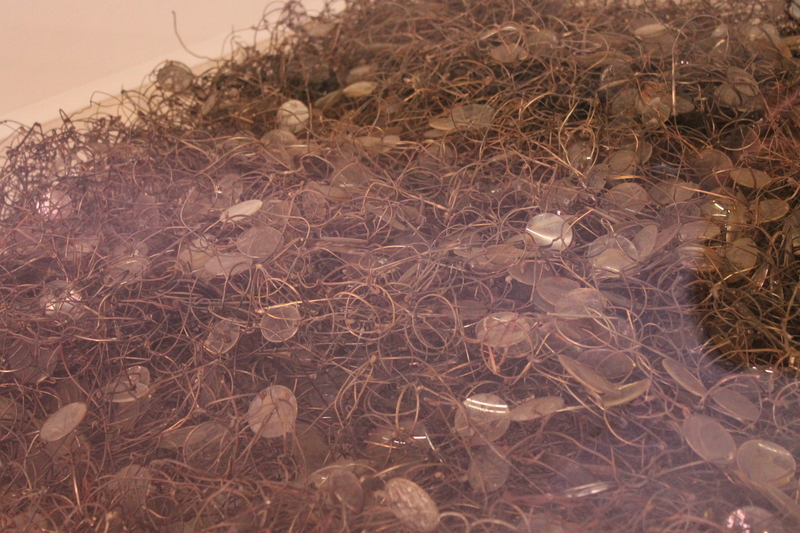 And these were just the remnants that had been recovered after the camp was liberated – the bits that had not been shipped to Germany or destroyed in the bombing. The tip of the iceberg. Another brick building had a long corridor lined with ID photos of prisoners, from the early days before they started tattooing numbers on arms for identification. Most of the prisoners before 1942 were non-Jewish Poles. Our guide told us that the photographer was a non-Jewish Pole of Austrian descent. When the Nazis invaded, they offered him German citizenship due to his background. He refused and was imprisoned, where he had to take all the ID pictures. He survived the war but never took photos again. 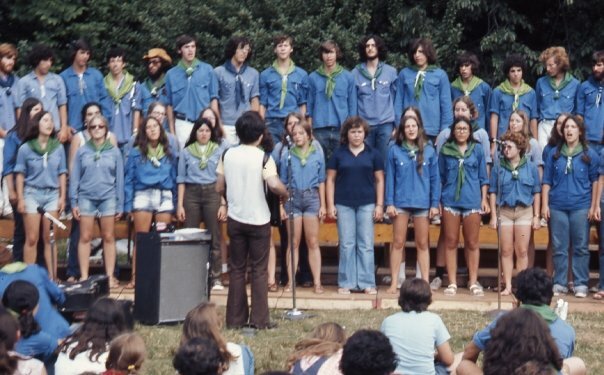 What struck me were the dates alongside each photo – the date each person entered the camp, and the date s/he died. Three weeks. Five weeks. Two months….. I kept looking at one face after another, and realized that most were dead within three months. Most of us have learned about the camps from stories and memoirs by survivors – Primo Levi, Elie Wiesel etc. Those memoirs are essential and powerful. But they are by necessity the stories of people who survived. Even if they describe friends, relatives and barrack-mates who died, the focus remains inevitably on the writer, who lived. The photos and their dates in this corridor brought home to me the reality that most, most, most, most people didn’t survive. They didn’t live a year. They didn’t even live a half year. They arrived, they starved, they sickened, and a few weeks later they were dead. 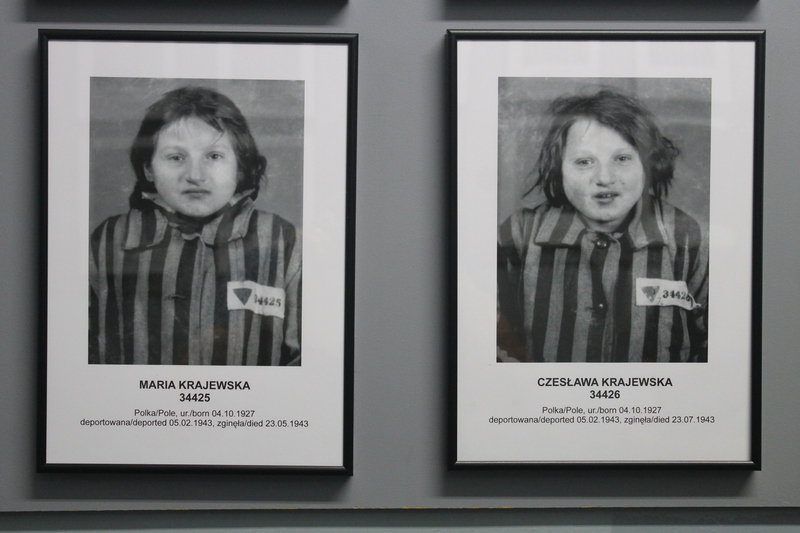 Photo of 15-year-old twin sisters who died in Auschwitz. They entered the camp on Feb. 5, 1943. Maria died on May 23, and Czeslawa died on July 23. One of the brick barracks included rooms in the basement where the Nazis practiced for mass extermination. 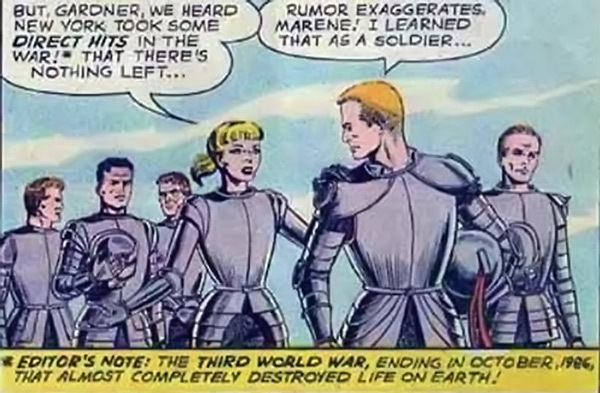 They experimented there with Zyklon B to see how much gas, for how long, it would take to kill a room full of people. They tried different doses and different time intervals until they got it right. 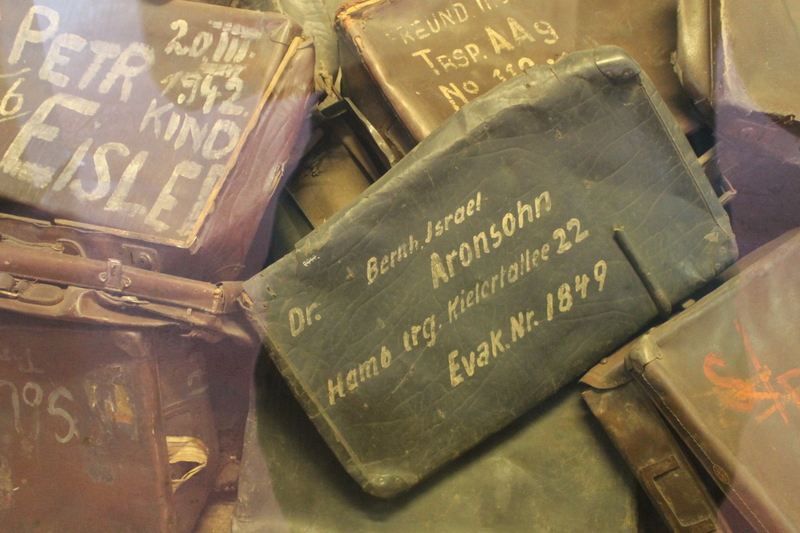 That was another of the takeaways from Auschwitz for me – it brought home how methodically, scientifically, the Germans approached their Final Solution. To me, this does set the Holocaust apart from other genocides of the past 150 years. It’s of course terrible to massacre any “other” in a frenzy of religious intolerance, a pogrom, a riot. But there is something worse about the rational, deliberate approach that the Nazis took. No one in Rwanda or Serbia or Turkey/Armenia spent years doing scientific studies of the most efficient way to kill their targets. We finished with the brick barracks of the main Auschwitz camp. All three of us felt a little disoriented – it hadn’t looked like we imagined. 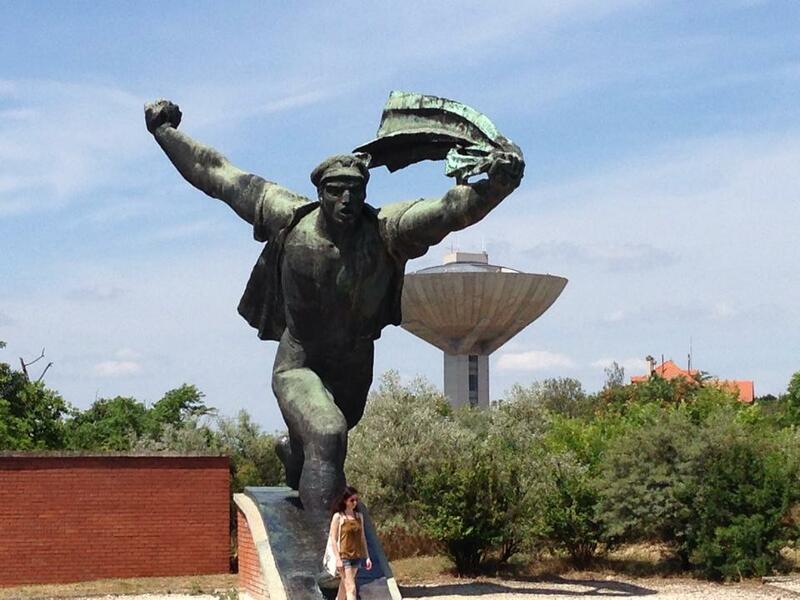 The barracks were too well-built, too tall, too landscaped, too…. normal. Even the “Arbeit Macht Frei” over the main gate seemed thinner and flimsier than what I had imagined. It was also a gorgeous summer day outside – grass green, sky blue, jackdaws pecking for snack crumbs in the parking lot. 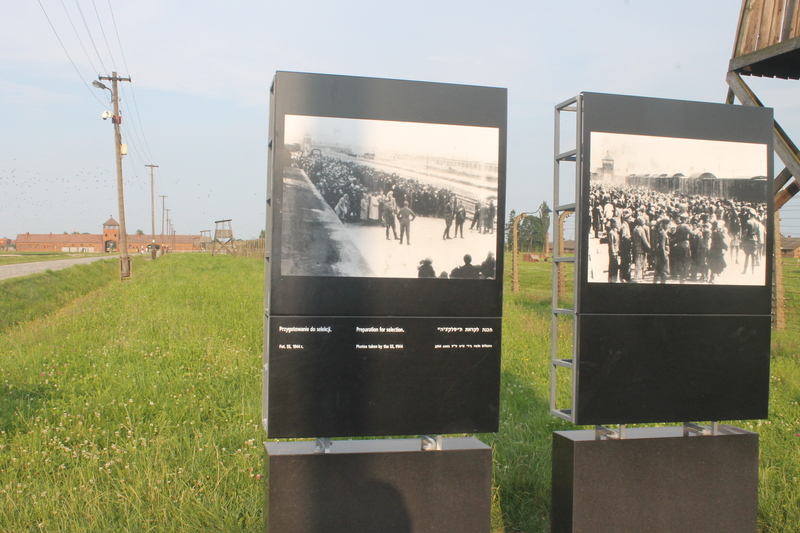 We took the short drive over to Birkenau. This was the larger camp – the one built explicitly for extermination, with gas chambers and crematoria that could kill 525,000 people per year, and barracks that could hold 100,000 people. This looked more like what we had imagined. 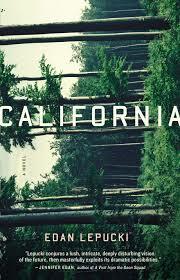 Long low buildings, mostly wooden on a treeless field, filled with wooden shelves that slept four people each. This was where the famous photos of emaciated prisoners had been taken upon liberation. Birkenau was sprawling and massive. We started at the back of the camp, with an abstract stone memorial erected in the 1950s or 60s – 22 plaques, one for each of the languages spoken by people killed here. We passed the site of the crematoria and gas chambers, but they had been blown up or bombed toward the end of the war and today are just fields of rubble. 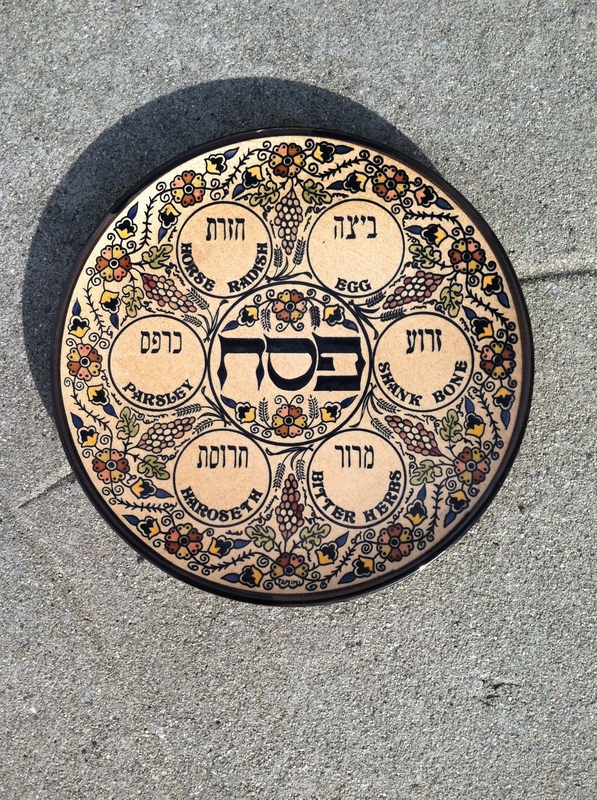 People’s ashes were often sold as fertilizer. Our guide told us that local farmers still find little unburnt body pieces in their fields. 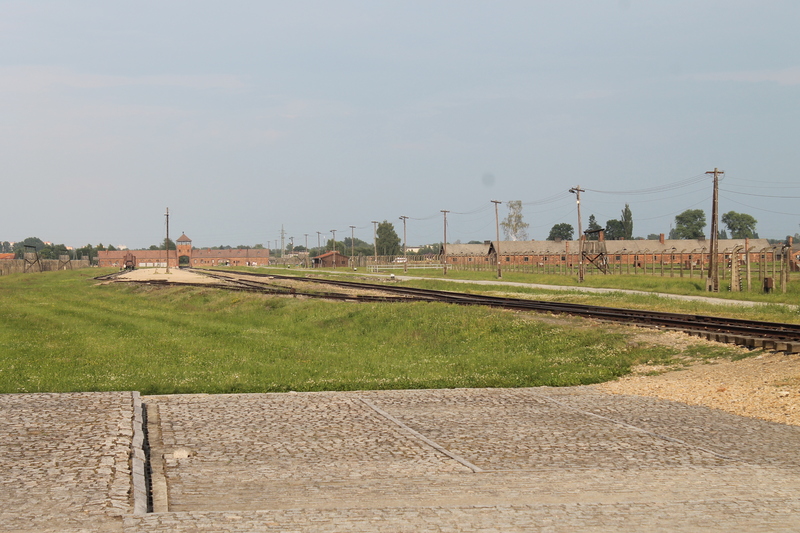 We walked to the debarcation area – where the trains unloaded their passengers, and people were lined up and sorted for immediate death or imprisonment. There was no waiting around, no bureaucratic delays, no grace period. 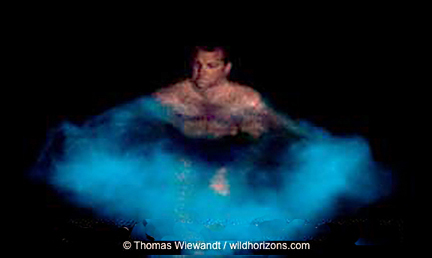 Those chosen for death were taken to the gas within minutes. In retrospect, I wish we had stayed at the unloading site longer. We saw it, we took photos, we lingered a little, we moved on. It was hard to think at that point in the afternoon. We were all somewhat numb. In retrospect, I’d like to have sat on the grass and reflected quietly or sketched or written poetry or said Kaddish. Something slow and reflective, something that in my non-religious way would acknowledge the sacredness of all those lost lives. Instead I took notes. Throughout the tour, I jotted notes in my little spiral book. After twenty-plus years of being a reporter, taking notes is like breathing for me. I take notes in meetings even if I’m not the organization’s secretary. And I sort of had a reason, in that I’d been toying with the idea of writing a travel article about our trip to Poland. I asked our guide lots of factual questions and wrote down lots of factual answers. But really it was a displacement activity. It was a way to keep myself busy in the face of this terrible place. I could take something unmanageable and manage it, treat it like a routine City Council meeting. I processed it into notes. I locked it down on the page, like Harry Potter locking a boggart back into its cupboard. It’s taken me three weeks to feel ready to write something about visiting Auschwitz. I wasn’t sure what I had to say. All the important things have been said already – the banality of evil, the importance of bearing witness, the systematized, industrial character of Nazi anti-Semitism, etc. And honestly, I’ve learned much more about the Holocaust and the death camps from years of reading than from this three-hour visit. 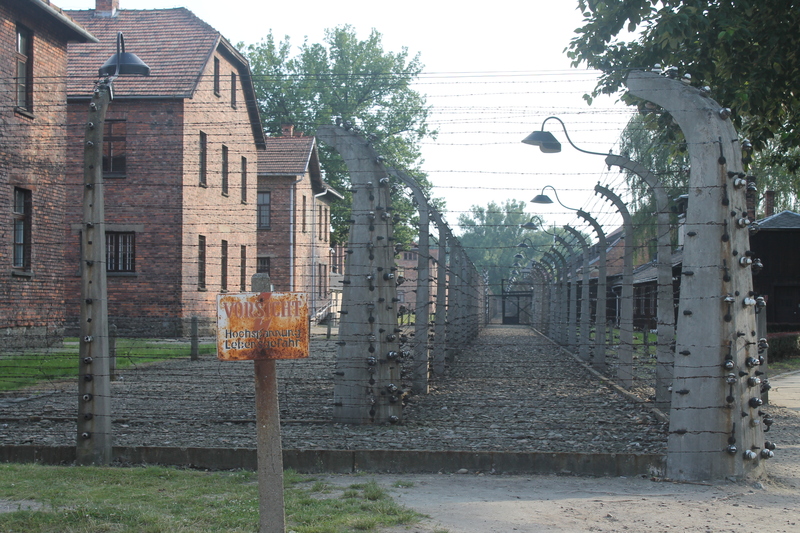 Auschwitz – together with the rest of our trip to Poland – did spur me to revisit the uncomfortable question of what would have happened to me during the Holocaust. We all like to imagine ourselves as the rare survivor – the one who finagles false papers, who joins the resistance in the woods, who has the luck to survive and even help others. In reality, I would most likely be dead. I’m not particularly cunning. I’m not particularly strong. I tend to follow rules. I would have ridden the train and, if not sent directly to the gas, would have starved and gotten typhus and died. And if I’d been a non-Jewish Pole? Would I have risked automatic death for myself and my entire family – the official penalty – for helping a Jew? I don’t know. I hope I would. I fear I wouldn’t. So…. no great epiphany. No piercing new insights to give the world. Yet I’m glad I was there. Auschwitz is important as a pilgrimage site, a place to go to honor those who died and to try to take in the sheer scope of their murder. I do believe that is one of our moral obligations – to try to take in the scope of the Holocaust, to make it as real to ourselves as possible. And of course to prevent it from happening again. 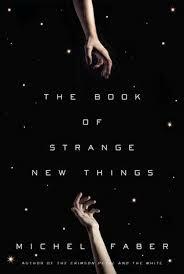 As strange as it sounds, I would actually like to go back sometime. This initial visit allowed me to see the physical structures, the size, the layout. Now I know what it looks like, I know what is there. I don’t have to get those questions answered. On the next visit, I would go and reflect. I would skip the tour and just go sit in the field where people disembarked and were sorted, the green summer field where over a million people died in a place of beauty. 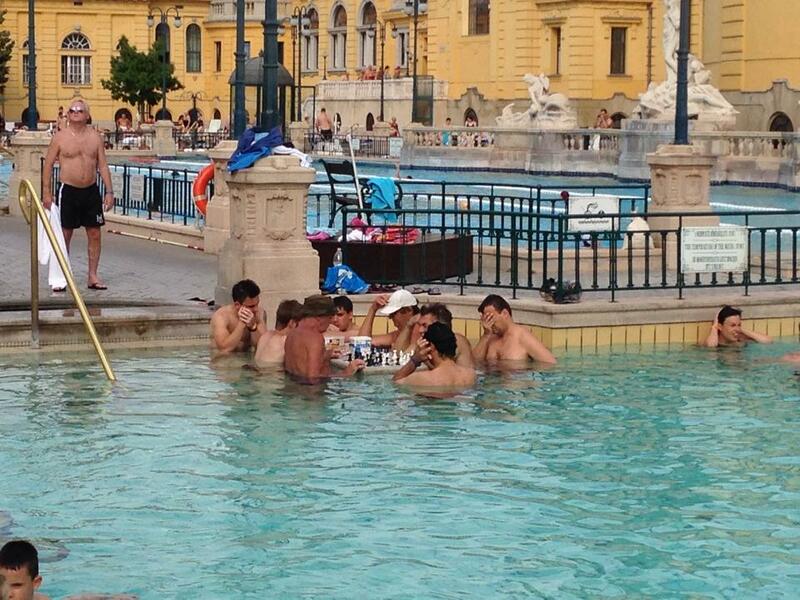 Why do we take vacation photos? Then my husband Sam got an iPhone. He realized how easy it was to snap a photo and upload it to Facebook. So now we both take photos. We returned last week from a vacation in Central Europe during which we often ended up taking photos of the exact same things. 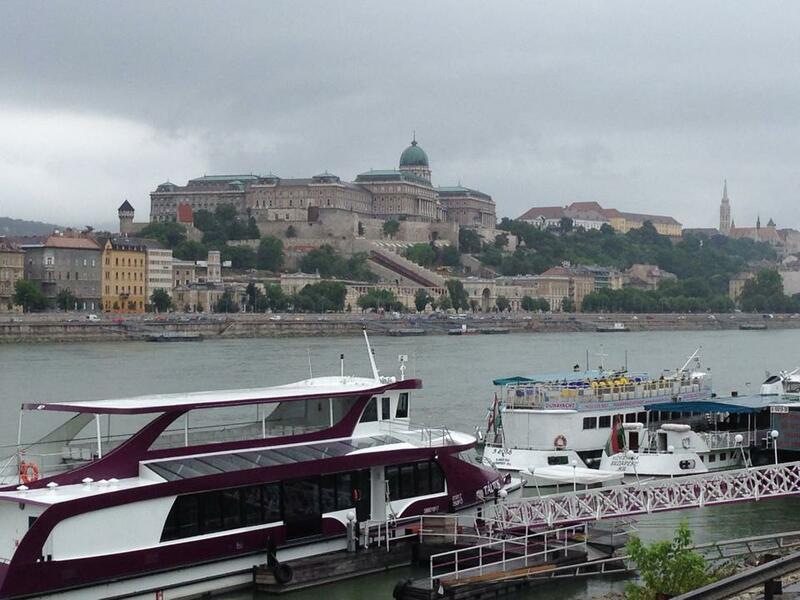 We’d be standing in Budapest looking across the Danube to the old castle on the Buda side of the river. Sam would take a picture of the castle with his iPhone. Two feet away, I’d take a picture of the castle with my point-and-shoot. And the kicker is: There were already about two zillion photos of that same castle, taken from the same angle, on the web. So why do we take those photos? Why capture an image that has already been captured countless times, often with higher resolution or better quality? The simple answer is that we want mementos of our trip. We want to remember where we’ve been. But that desire could be satisfied by just one person taking photos, or even by buying old-fashioned picture postcards. Another answer is that we love our gadgets. We feel compelled to use them constantly. But that doesn’t fully nail it either. There are also less charitable possibilities. We are sheep: We take photos on vacation because we believe we are supposed to take photos on vacation. Or we are status-grubbers: We photograph ourselves in front of the Eiffel Tower or the Roman Colosseum or the Budapest castle to show our neighbors and our Facebook friends how worldly and fantastically happy we are. Blech. That may be true for some people, but I think it is still more complicated. For me at least, taking vacation photos is an attempt to engage with the things I’m seeing. 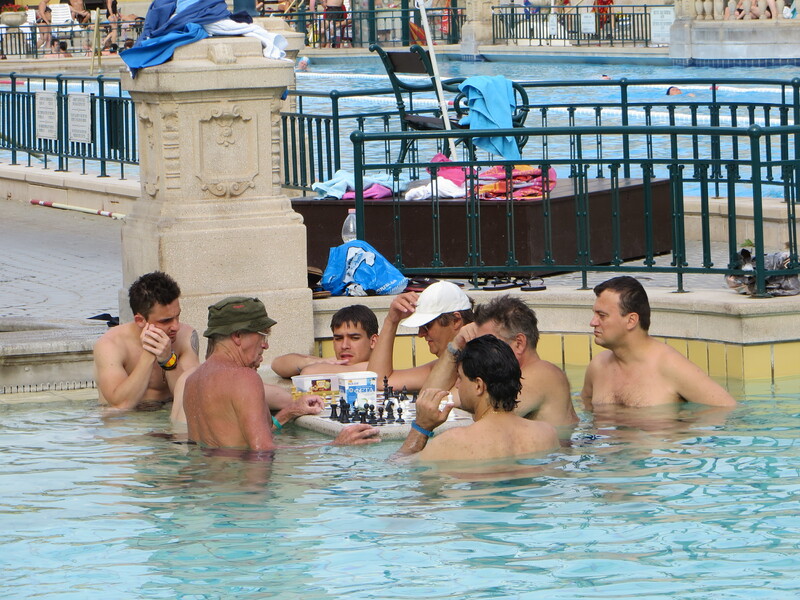 As tourists visiting places briefly, we are typically spectators. We are outsiders watching a world that other people have shaped and are living in. But we want more than that. So we engage with the places we’re visiting by eating the food, meeting the people, or… taking photos. 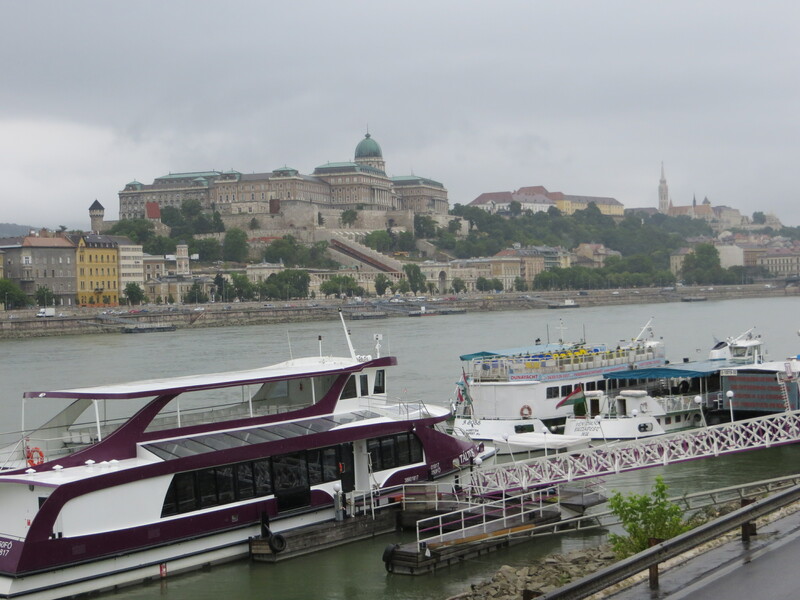 Choices: I can stand by the Danube, look briefly at the castle, and then walk on to the next site specified in my guidebook. Or I can pull out my camera and engage. Frame the picture. How much river, how much sky? Focus on the dome or the facade? Which part seems most interesting? It’s bringing a little bit of artistic judgment and creativity to bear. It gives me a sense of ownership and personal connection to a place. That’s not the same level of engagement as getting to know local residents, but it’s something. “Taking photos forces you to look at what you’re seeing,” someone told me the other night. Taking photos can also be a substitute for truly looking at what we’re seeing. Scenic vista point! Get out the camera. Frame the shot. Move on. I fall victim to this, no question about it. I don’t try to commit a scene to memory because I assume it will be preserved by my camera. Instead of paying attention to the details of this interesting place – the color of light on the roofs, a boat’s wake on the river, the funny zigzag path taken by a small child running near the water — I think about framing the photo. Once I’ve pressed the shutter, I feel like I’m done. Now let’s ramp up this scenario to the Nth degree – Auschwitz. Our recent trip included a tour of the Auschwitz and Birkenau death camps, where over 1 million Jews were killed by the Nazis. I’ll write more about that in my next blog post. But what’s relevant here is that I took photos. I took photos of the room filled with hair shorn from thousands of Jewish women en route to the gas chamber for use in German wigs. 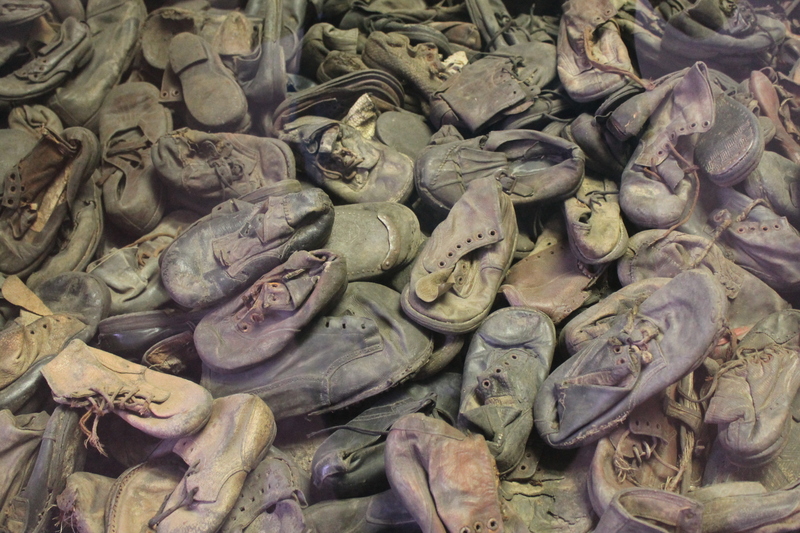 I took photos of the room filled with shoes from dead children. I took photos of the bombed ruins of the crematoria, of the gathering spot where people were unloaded from boxcars and directed to either barracks or gas chambers. Our guide described each section of the camp, and we looked, mostly silent, and took photos, and moved on. In retrospect, I wish I had spent more time looking, thinking, and imagining. I would have liked to stay in the unloading spot for maybe an hour, to sit cross-legged on the summer grass and just think about what had happened there. Maybe try to sketch it or describe it in writing. But definitely do something slower and more mindful than pressing a shutter. I find myself increasingly dissatisfied with photos as a way to engage with important places – places of particular historical meaning or natural beauty. I’m not a visual artist, but sketching or painting a scene seems to require so much more attention and involvement. Writing a description also forces you to engage more deeply and attentively. I wonder what it would be like to take a sketch pad or pocket journal on our next trip instead of a camera. When we come to a point of particular interest, I could sit there for a half hour drawing or writing. Of course that would slow things down – it’s harder to hit six different churches, museums and monuments in one afternoon if you keep stopping for long blocks of time! And tapping into ways of engagement that are deeper than snapping photos. Why do we (well, some of us) feel compelled to air our most embarrassing moments on the public square of the Internet? It was dusk on a Friday evening, and my husband and I were winding our way down Panoramic Highway towards Stinson Beach. The western sky was still light, but the woods along the road were in shadow. Fidgeting in the passenger seat and trying not to feel carsick, I suddenly saw two faces flash past in a tree – round faces, big forward-facing eyes, one large dark face and one smaller light face. If I were an eight-year-old boy in my Star Wars phase, I would have thought: Ewoks. But I’m a 50-something-year-old woman who works for Golden Gate Audubon, so I thought: Owls. Maybe it was because it was that owlish time of day. Or maybe I was subconsciously thinking of a great photo I’d seen that day by Glenn Nevill of the huge-eyed, white Peregrine Falcon chicks on the PG&E building. “Stop! I saw something!” I shouted at to my husband. To his spousely credit, he actually stopped, without getting us killed, and did a u-turn onto an area of shoulder. We watched for a while. It wasn’t moving much. I couldn’t see the second face that had flashed past. But how amazing would it be to see a nestling? This called for a better look. We drove back up the hill, did another u-turn, and parked about 20 yards away from the tree, now with a direct frontal view of the nest. Yes, there was that second small white shape. Fluffy, kind of gumdrop-shaped, no pointy ears. “A chick!” I exclaimed quietly. We watched. Neither bird moved. I started to have a bad feeling about this. A car passed us, travelling fast downhill past the nest. The birds didn’t move. Two bicyclists struggled up the steep slope past the nest. The birds didn’t move. “Okay, I’m going closer,” I said. I crawled out of the car, closing the door gently and taking just a few steps so I could get a better view without spooking the birds. It was getting seriously dark now. And yes, that bad feeling I’d had was justified. The two shapes in the tree were… stuffed toys. But really, why do we (well, some of us) post our most embarrassing moments on the web for all the world to see? I don’t think it’s masochism. Picture a dog or cat, facing a clearly alpha animal. It doesn’t want a fight. It wants to be friends. It rolls over on its back, paws in the air, tender belly exposed. Present your vulnerability and you won’t be attacked. Make fun of yourself and people will laugh with you, not at you. 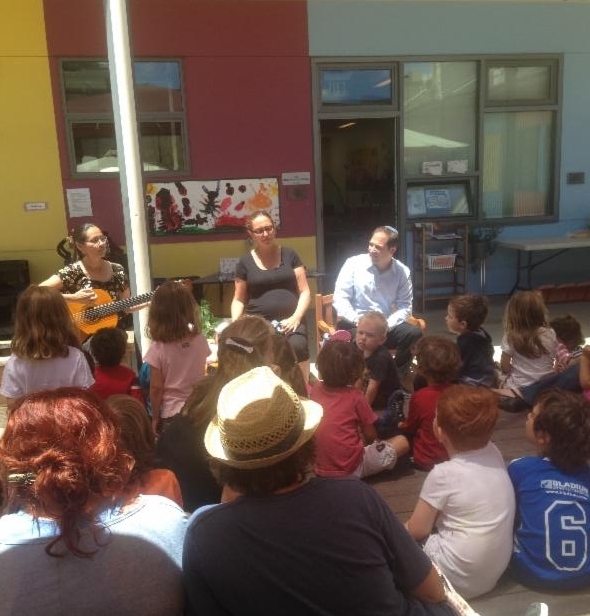 On the other hand, maybe some of us just can’t resist telling a good story. Even when we are the punch line.